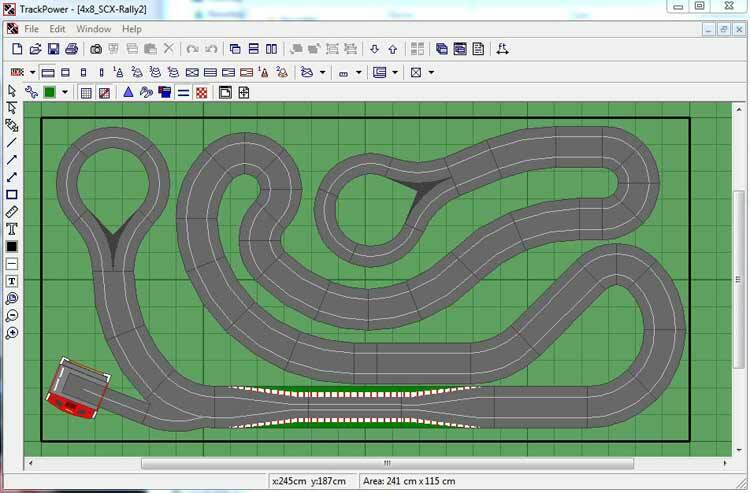 RailModeller Express is the free edition of RailModeller Pro, it is software for planning model railroad and slot car layouts on macOS. 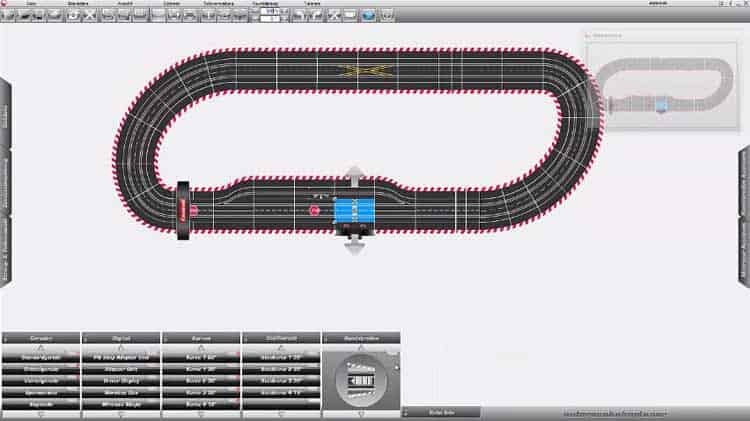 The express edition offers some of the same features that the pro version has only with certain limitations such as the number of slot track pieces you can use in your design, how many layers you can create, the ability to utilize the stock management feature and how large your layout can be. A good selection of slot car track libraries are included. Check out the details below for a complete list. If you choose to purchase the Pro version you will have access to the stock management feature which is always handy when designing new tracks and determining what you can do with the track you already have versus what you would need to purchase new. Once your slot car layout is complete you can print it in any scale from a single piece of paper all the way to a 1:1 scale. RailModeller offer a few tutorials on the website as well as an active forum for help and support.